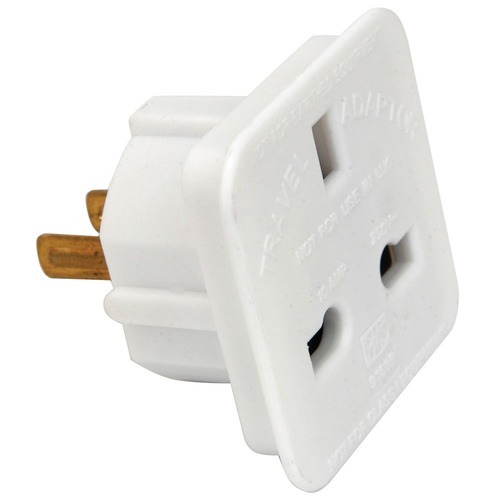 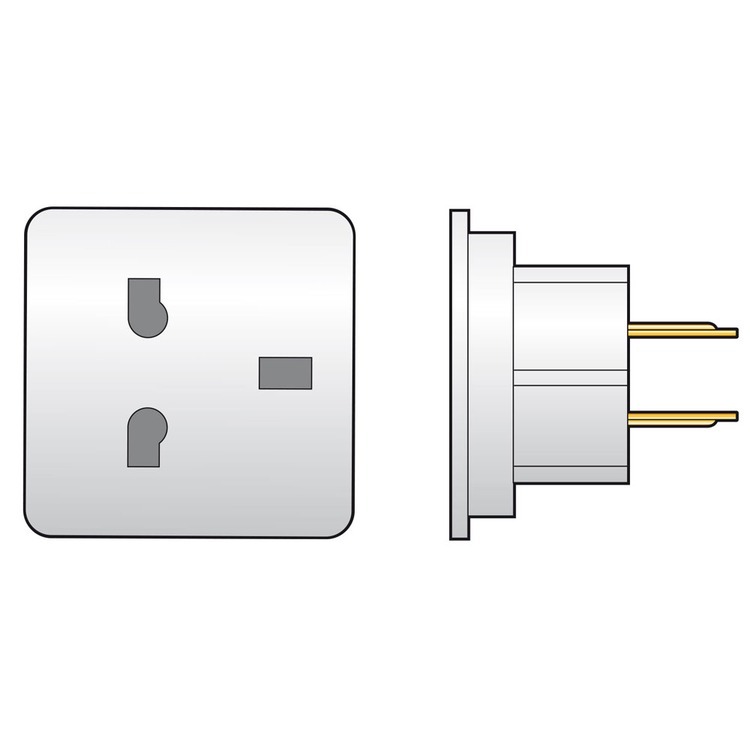 UK 13 amp socket to 2 flat pin American or Australian mains plug adaptor. Mains adaptor to allow devices fitted with UK mains plugs to be used in Australian or USA sockets. 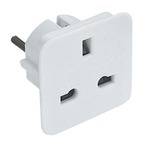 Suitable for use with both UK 13 amp mains plugs and mains power supply adaptors. This is purely a socket adaptor - you must ensure your device is suitable for the local voltage.